Technology Traps Who Is Responsible? Technologies can have harmful effects on users’ psychological health, on society, and on the environment. “Technology traps” arise when users and societies become stuck with technologies and the harmful consequences produced by these technologies. In this paper, the authors describe five technology traps: incompetence, self-miscontrol, misbehavior, techno-centrism, and environmental degradation. The authors then examine the share of ethical responsibility for these traps among end-users, businesses, and government. Technology Traps: Who Is Responsible? Technologies are often ambivalent to the well-being of users and society. Despite the many benefits modern technologies have conferred on the human species, there are also costs in the form of undesirable or unexpected consequences (Ellul, 1954,1964; Perrow, 1984; Sarason, 1984; Tenner, 1996). When societies adopt technologies that produce undesirable consequences that are difficult to separate from the benefits, situations arise that resemble what Platt (1973) called social traps: “traps formally like a fish trap, where men or organizations or whole societies get themselves started in some direction or some set of relationships that later prove to be unpleasant or lethal and that they see no easy way to back out of or avoid” (p. 641). 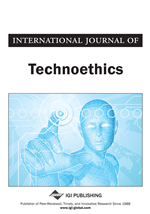 In this article, we examine a subspecies of social traps we call technology traps, characterized by the use of technologies that provide immediate benefits but that pose unavoidable longer-term costs to the well-being of individual users, society, and the planet. We describe five technology traps that plague modern society and then examine the issue of attributing responsibility for these traps. long as cell phones are considered “standard equipment,” individuals and society will be stuck with these undesirable side-effects. That is the essential character of technology traps.